Gearing up for International Zine Month? In less than a week, it will be July–International Zine Month! Get started early by signing up to present your zines on June 30th at Ooga Booga #2. It’s being organized by Ooga Booga, Alumnos47, and For YourArt, AND there will be cookies! More information here! Once you’ve knocked that out, sign up to do the 24 Hour Zine Thing, which challenges you, wherever you are, to make a zine in 24 hours. 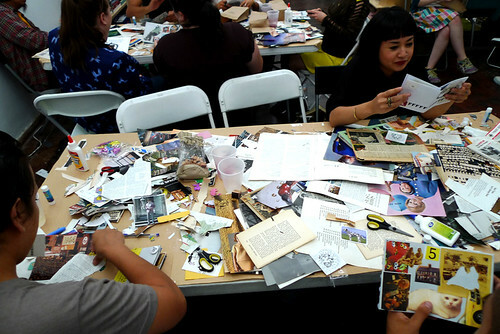 There’s no set date to make your zine, just a deadline: July 31. Their Facebook will be posting people’s completed zines soon! Who are the people that aren’t a color?